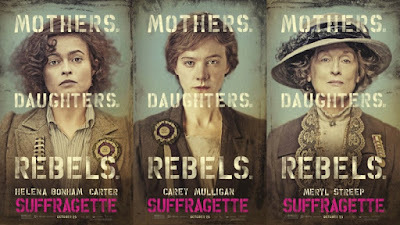 Suffragette follows Maud Watts (Carey Mulligan), a young mother who goes from bystander to a central figure in the early 20th century struggle for women's suffrage. By 1912-13 when the film is set, the suffrage movement had been peacefully campaigning for almost half a century to no avail and so direct action via civil disobedience was called for. In return, the women faced violence, abandonment and the horror of prison. Maud is a fictional character, but hers is a story told with compassion and reality. It is not only the politics of suffrage that is explored; all aspects of an Edwardian woman's world is shown, exploring themes of helplessness. Maud's apparently happy home is shaken by her actions whilst at the other end of the social spectrum a government minister's wife has as little power over her life as the women from the factory. 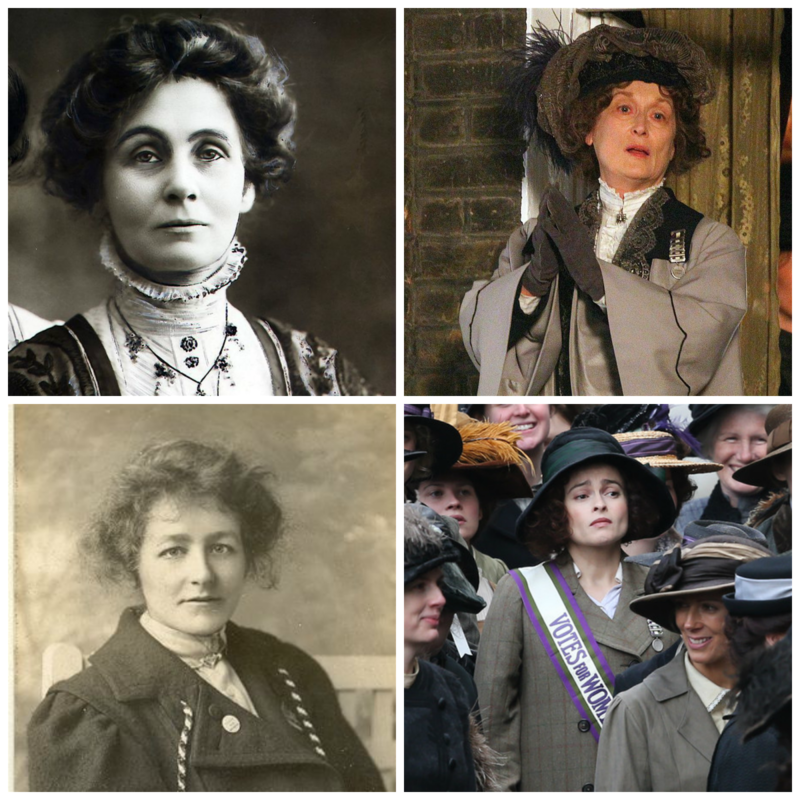 Despite heavily trailering Meryl Streep's presence in the film, her role is very much blink-and-you'll-miss-her, but the influence of Pankhurst is ever-present. It is the actions of ordinary women like Maud that is the focus, together with the struggle of people like Edith New, a chemist who wanted to be a doctor. By concentrating on the effect political action had on the lives of working-class women, the film avoids the stereotype that suffragettes were women with time and money on their hands. The story seems slow at times, but this contrasts strongly with moments of horror such as the force-feeding scenes (as unpleasant as you would imagine) and the final scenes at the 1913 Derby. The terror and frustration, together with the anger of the women make it unbelievable to think this was England just over a century ago and makes you grateful for how far we have come. 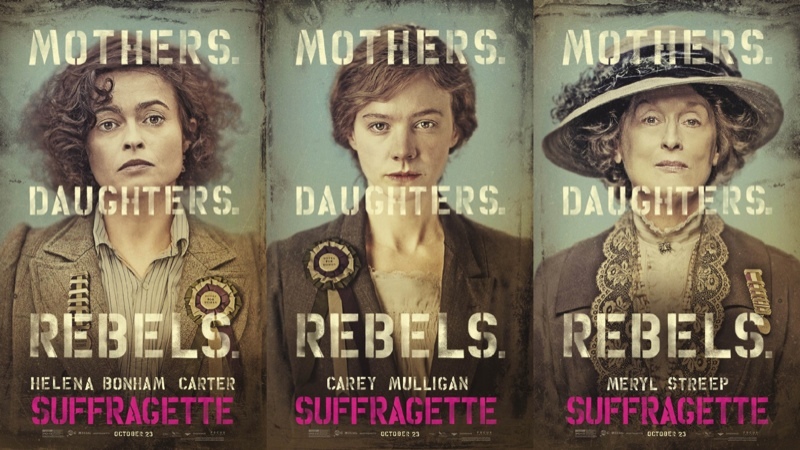 This might not be the film that tells the whole story of women's suffrage but it is an important film, showing how easy it is to be drawn into a conflict in a state when your gender makes you the enemy. It seems rather contemporary to see people radicalised not by the movement but by their treatment by the state, and this is certainly true of Maud. This is not an easy film to watch at times, putting to bed any notion that suffragettes were Mary Poppin-style ladies who wore sashes and were very jolly. This is gritty, unfair and terrifying, leading to a crushing finale that will scare you even if you know what's coming. 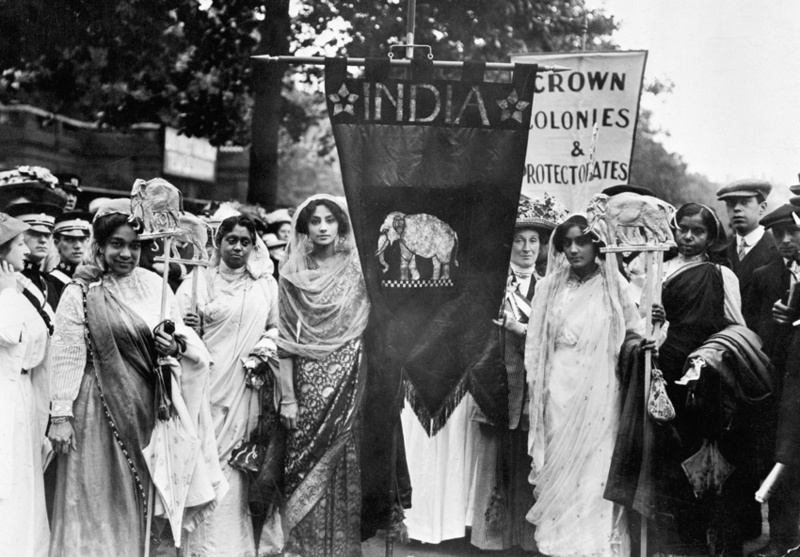 Just in case we were feeling too smug for how far we have come there is a list at the end of the film of when the other countries got women's suffrage and those that have yet to get it. 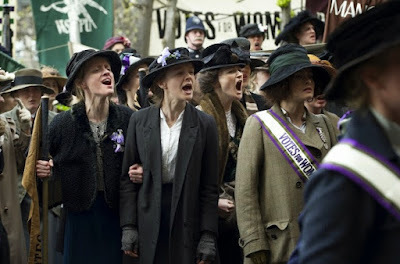 Suffragette is emotionally-charged and educational in equal amounts and most importantly it makes you want to find out more about the subject. If ever I have any apathy towards voting, I'll just remember the length of tubing with the funnel or Derby Day 1913. That'll do it. Great review Kirsty. I just finished reading A.S. Byatt's "the Children's Book" and there is a lot of information about the suffragists. 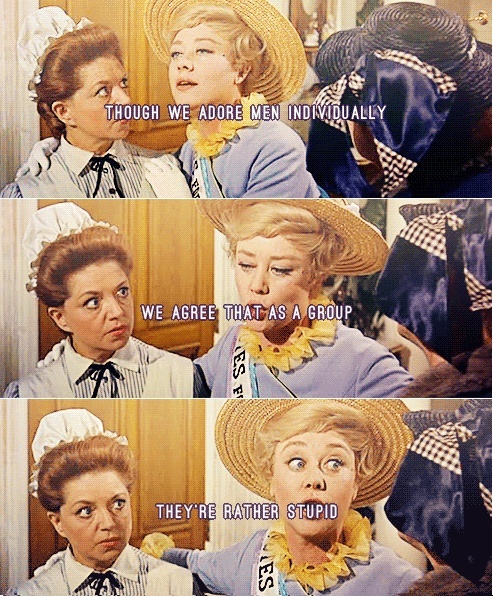 I didn't realize how much the women went through.